Mandawa is a beautiful town located in the desert state of India – Rajasthan. This city is well-known for havelis and forts. Due to this reason to make your travel experience in this city easier, we are offering this Mandawa travel guide giving all round information about major tourist attractions like havelis, palaces, forts and much more. Have a look at the below mentioned famous tourist places in Mandawa or places to visit in Mandawa that are must see places and form an integral part of Mandawa Tourism. Mandawa Fort is a famous fort located in Mandawa that was built by Thakur Nawal Singh in the 18th century. This palace has always been the talk of the town and is very famous for painted arched gateway adorned with Lord Krishna and his cows. 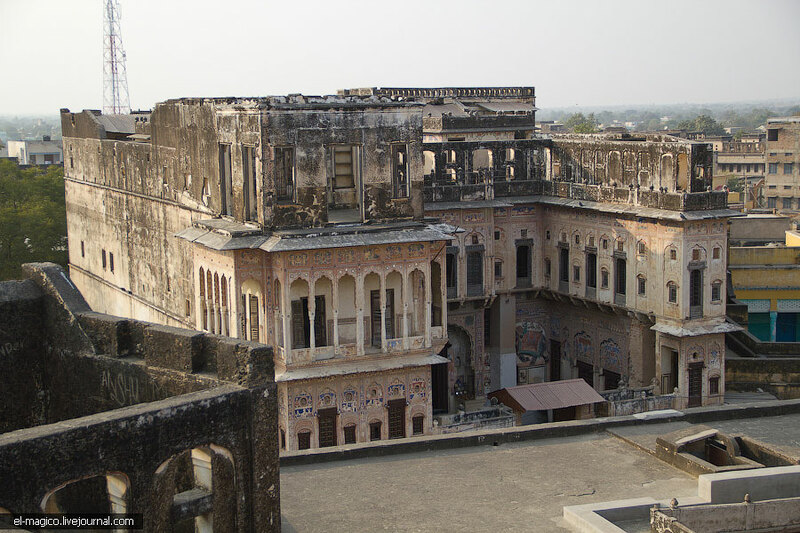 It is constructed based on a medieval theme and the rooms in this fort are decorated with amazing mirror work, exquisite carvings and paintings of Lord Krishna. It also houses various types of paintings and antiques. 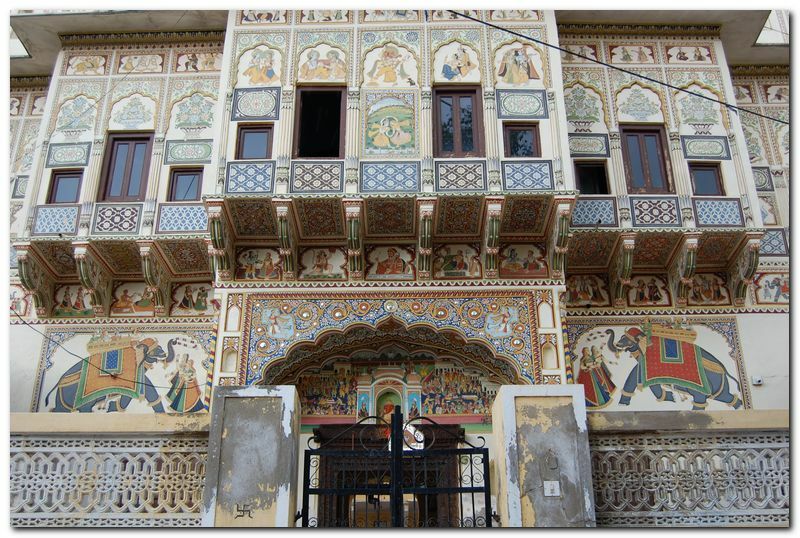 Hanuman Prasad Goenka Haveli is one of the most visited tourist attractions in Mandawa. It has various paintings, one of them depicts Lord Shiva on Namdi bull and Indra Dev on an elephant. If you are planning a trip to Mandawa, then you must also visit Murmuria Haveli, Goenka Haveli and many more. There is no availability of airport in Mandawa, you have to catch a bus or hire a car from major cities like Jaipur, Delhi, Bikaner and many more to reach the city of havelis. There is no availability of railway station in Mandawa, you have to catch a bus or hire a car from major cities like Jaipur, Delhi, Bikaner and many more to reach this city. To reach Mandawa, roadways is regarded as the most convenient option as this city is very well-connected with all the major cities in India like Delhi, Jaipur, Bikaner and many more. At the same time,by hiring car for rental service allows you to the see all the major tourist attractions in and around Mandawa.